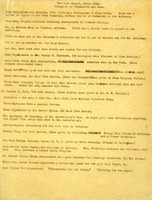 Grable provides a list of individuals to whom school literature should be sent. 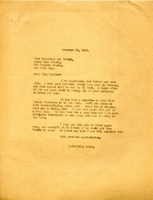 Berry thanks Grable for her recent gift, which supports the "glory and beauty of young manhood and womanhood." 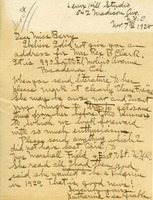 The prospective donor Grable recommended, Ellen Scripps, has been sent literature but has never contributed, so Berry asks Grable to provide encouragement. 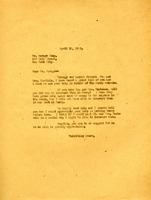 Grable provides an address for a prospective donor, Mrs. Rex B. Clark, and reports that Mrs. Marshall Field expressed an interest in being a Pilgrim in 1929. 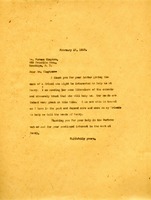 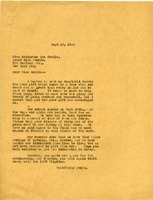 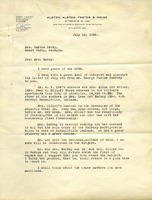 Letter to Mr. Savage Clay from Martha Berry asking him for monetary help for the schools and suggesting that he facilitate a connection with Mr. and Mrs. Harkness. 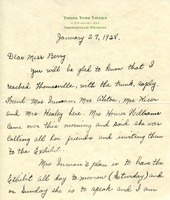 Harry J. Carlson sends lists of potential donors.